Hello Junkies Pam here today for Day 22 of the 30 days of Christmas! It seems very strange to be making Christmas projects, especially "chilly" ones like the canvas panel I made for Day 22 considering it has been in the 70s here in Massachusetts this week! But I am definitely not complaining! For today's project I decided to think outside the box and stretch my stamps a bit. 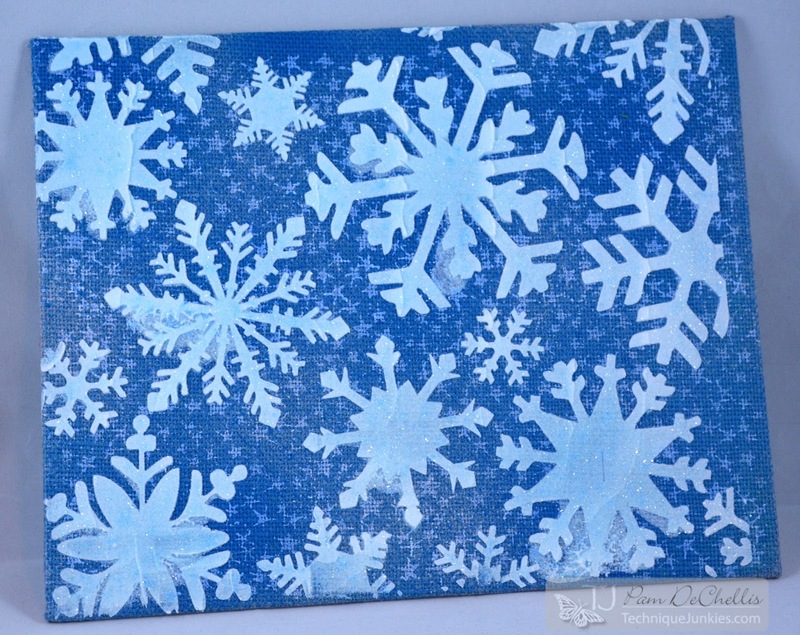 I made a wintry canvas panel using the background stamp Star Power. 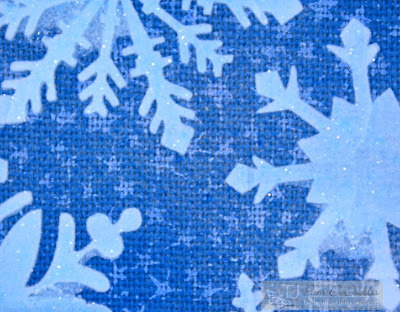 This stamp is so versatile for some amazing winter sky backgrounds. It is used very subtly in this canvas panel but just really "pops". After inking the canvas panel directly with Mermaid Lagoon Distress Ink, Star Power was stamped in a repeating pattern onto the canvas with Hero Arts Unicorn White Ink. Over the top of the entire panel- texture paste was applied using The Crafter's Workshop Large snowflakes stencil and then dusted with some Distress glitter before it dried. I wanted to share something other than a card and show the versatility of the TJ stamps-using them here in a mixed media project! Thanks for joining me today and stay warm : )!